After an adventure in getting a smog check today, I stopped on the way home to pick up our latest favorite culinary fixation. Through our obsession with their beignets, Mama and I have become friends with the ladies at Sonoma Crust Bakery. 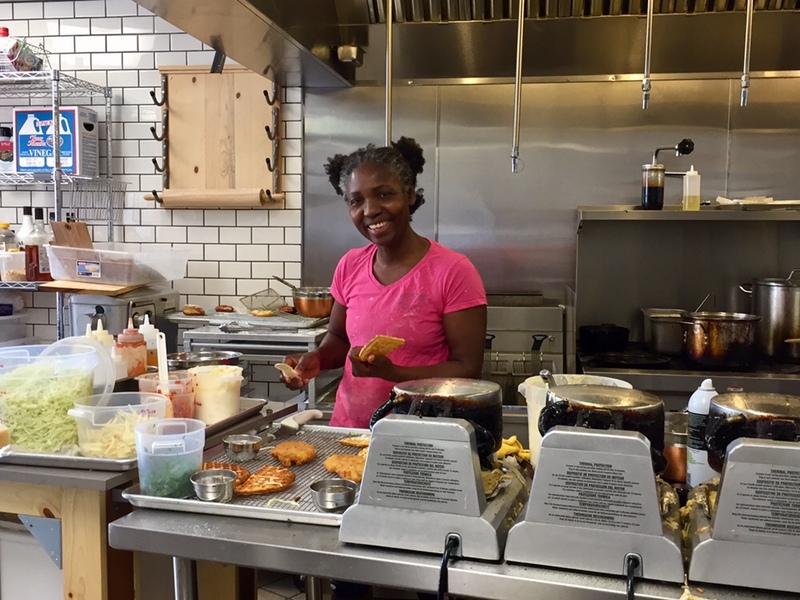 Today I got to see how master chef Anna prepares the chicken waffle sandwiches that we love. The perfectly cooked, crispy chicken is paired with a fresh apple and cabbage slaw, and then sandwiched between two fresh waffles. The salty and sweet complement each other beautifully. Today’s #OneGoodThing was watching culinary magic happen, and then enjoying the delights of it with Mama! Day 117 of 365. And Day 848 in a row (here’s the first 366 & the following 365)!